No extension of voter registration beyond Aug. 17 – INEC – Royal Times of Nigeria. 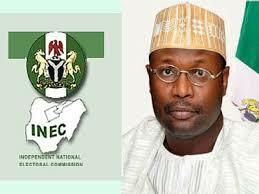 The Independent National Electoral Commission (INEC) says the August seventeenth deadline for the Continuous Voter Registration will not be extended contrary to speculations in some quarters. The commission said the exercise will resume only after the 2019 General Elections scheduled from the twenty-sixth of February to the second of March. Public Affairs Officer of INEC in Gombe , Mr. Mohorret Bigun, told newsmen today that the exercise will henceforth include weekends and public holidays to allow for more people to register beginning from the first of August. He urged those who are anticipating extension to go and register. He said the commission decided to suspend the exercise till next year to enable it to produce the Permanent Voter Cards (PVCs) for distribution. According to him, 141,345 persons, comprising 55,407 (39 per cent) females and 85,947 (61 per cent) males have so far registered as at July 30. He appealed to those who were yet to register to take advantage of the adjustment in the timetable.